Three cards, three words, one picture. 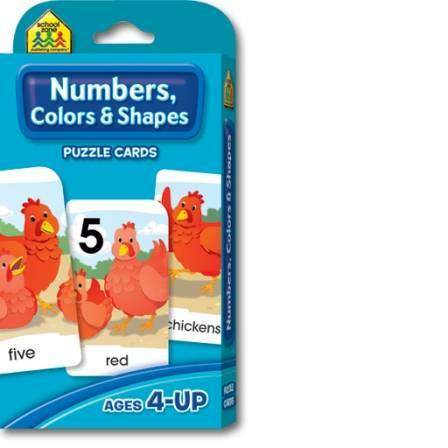 Introduce your child to the world of numbers, words, and colors with these playful puzzle cards. Put three cards in order to complete each puzzle and read the simple sentence. 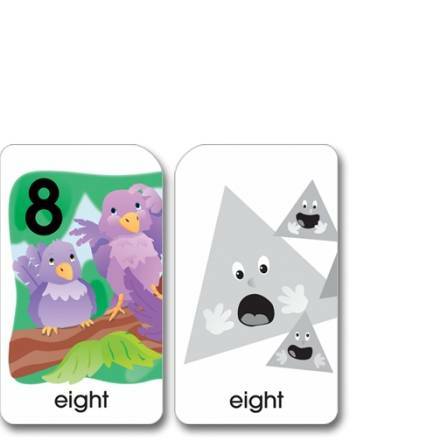 There are 18 full-color puzzles that will have your little one counting numbers, identifying colors, and recognizing animal pictures and names, like “eighteen black ants.” Flip the cards over for 18 more puzzles, this time revealing a short sentence with a number, adjective, and shape—“seventeen shy diamonds.” Features include double-sided cards, thick, glossy cardstock and 2 parent cards. Reinforces the following skills: numbers; words; colors; counting; vocabulary; nouns; adjectives; reading; eye-hand coordination; focus; attention; creativity; problem-solving.